are curious about how the law and the courts work in BC and Canada. This guide explains how to find legal information in British Columbia. It also provides links to many more self-help resources and guides. This guide is a starting point and is not meant to be exhaustive. It explains the law and legal procedures in general, and is not intended to give legal advice on your particular legal problem. Content development: This guide is based on a series of handouts created by former Courthouse Libraries BC librarian Rebecca Slaven. Additional content has been created by CLBC librarians Janet Freeman, Kate Sloan and Roman Lanzarotta. 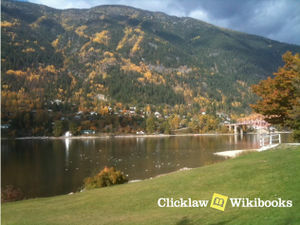 Clicklaw Wikibooks are plain language legal publications that can be read online and can also be printed. The guides are developed collaboratively by authors with extensive expertise in particular areas of law. The authors update the guides online on Clicklaw Wikibooks. Check the website to make sure you have the most recent information. This page was last edited on 8 October 2015, at 13:02.